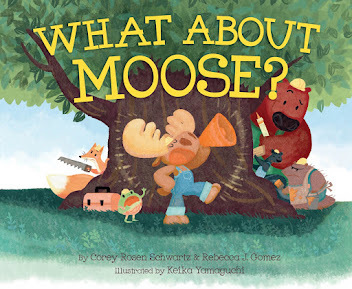 Rebecca J. Gomez: A WHAT ABOUT MOOSE? Jack-o-lantern! A WHAT ABOUT MOOSE? Jack-o-lantern! I'm not such a big fan of Halloween. Though I did take my kids trick-or-treating in homemade costumes every year when they were younger, I've never really decorated my house or yard for the holiday. No skeletons hanging from the front porch. No cemetery or witches or fake corpses in the front yard. But pumpkin carving is a fun and creative tradition this time of year, even for me. This year, I decided to create a Moose jack-o-lantern. A Moose-o-lantern! In order to do that, I had to create a template. 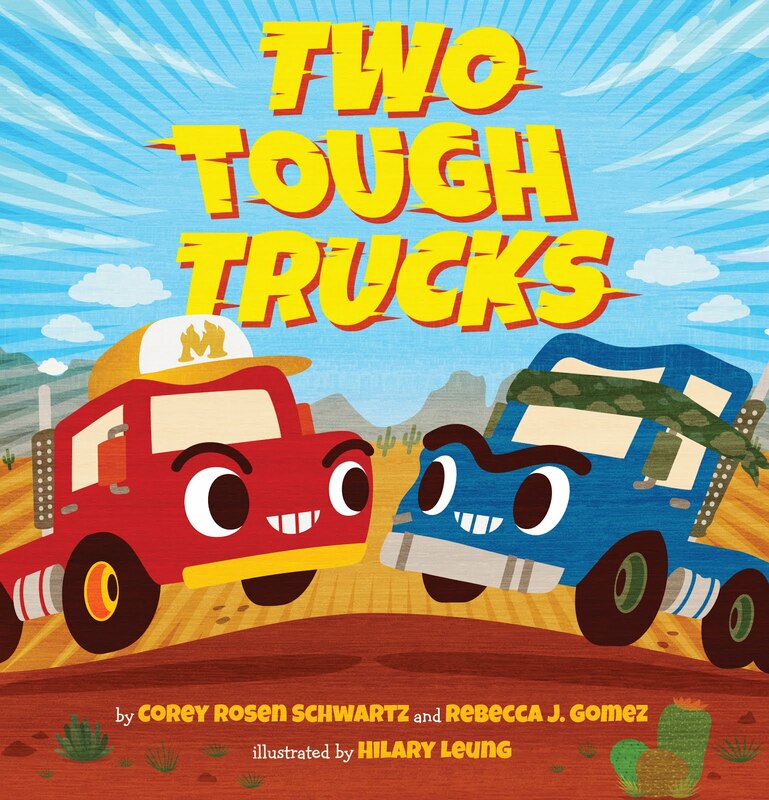 So, using the illustrations in WHAT ABOUT MOOSE? as a reference, I drew a simple Moose face. 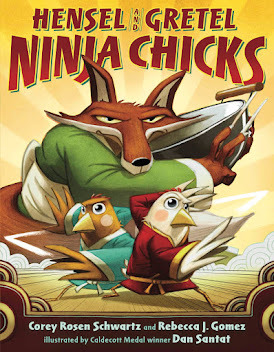 Then I did a google search to get an idea of how to make the drawing work as a template. 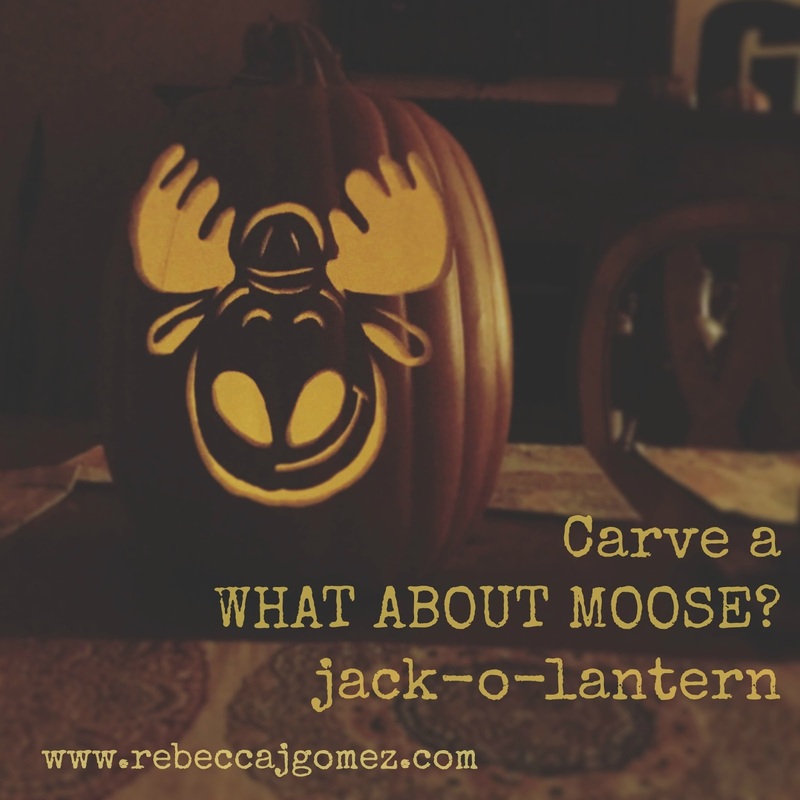 I scanned the image, did some editing on picmonkey.com, and--tada!--my Moose-o-lantern template was complete! My husband convinced me to use one of those craft pumpkins so that I could keep my Moose-o-lantern forever. So, I reluctantly tried it, and ended up being happy with the result (though, sadly, craft pumpkins don't have any seeds to toast). I'm sure this template would work really well with a real pumpkin too, and might actually be easier to carve. I think it turned out pretty darn cute, don't you? 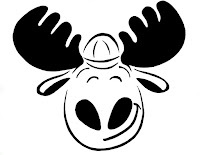 If you would like to carve a Moose-o-lantern of your own, you can find the printable template by clicking the image below. Remember to carve out all the black sections. Happy carving!